This morning Josie and I erected our Divi’s sign up on the ring road at the Mangaliliu exit. Enjoy … and have a great day. The first day of 2017 … WOW. We wish you a Happy New Year as you read our latest blog. We spent the end of 2016 at our neighbour’s café (Back to Eden – Alan & Bronwen) with the local village. Custom at Mangaliliu (Vanuatu) is to say goodbye to the sun, singing local songs, as it sets for the final time for the year … then return to the village for Nakamal, before singing in the New Year at midnight. 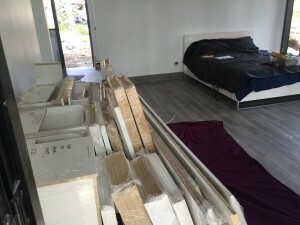 We are waiting for the solar replacement parts (received under warranty from Taiwan) to be installed – we will open the bar in the next two (2) weeks. 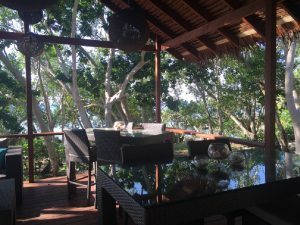 Last year we spent New Year on the Gold Coast with friends and family talking about our ideas and hopes for what we might achieve at our recently purchased blocks in Mangliliu Vanuatu throughout 2016 – proudly (pun intended) we are drinking our morning coffee in our amazing beachside bungalow, glancing left at Divi’s bar, listing to the ocean lap on the beach … we have come a long way! 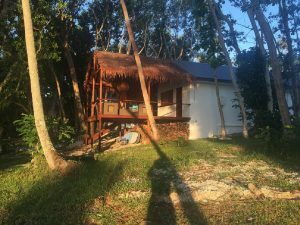 – Two confirmed Airbnb bookings already! Looking forward to sharing our paradise with you in 2017. Sunday morning (4th Dec 2016) on the Gold Coast in Australia. We arrived last night to visit family and friends for a week before Christmas. It will be lots of fun. 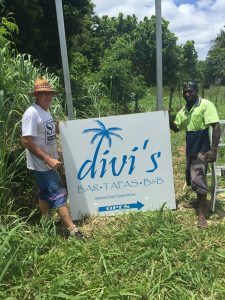 Our goal was to open Divi’s on the 16th December 2016, but due to three (3) of our four (4) inverters deciding to “play dirty” (stop working!!! 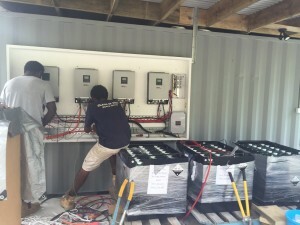 ), we don’t have enough electrical capacity to operate all Divi’s fridges and equipment. So, at this point Divi’s “soft opening” date has been pushed back to mid-January 2017. Official opening will still be April 2017. 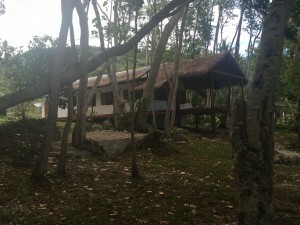 Before leaving Divi’s at Mangaliliu in Vanuatu yesterday, we captured some great video footage. We haven’t posted since early October … sorry about that. We were only just connected to the internet last week, which meant we could load an update. Internet coverage isn’t very strong, so only photos at this stage. Hoping our Chinese internet booster will be fitted next week, and that it works, so we can load a video. 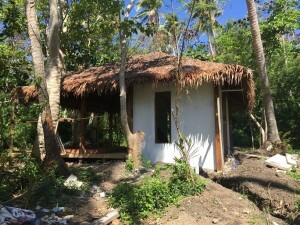 We did move into our unfinished bungalow on Friday 7th October 2016, with a flushing toilet and water running from one outside tap – NO electricity. 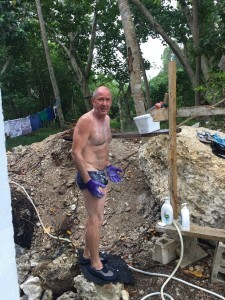 We showered without hot water for 32 days … washed dishes and clothes outside too. The day we moved in the painters still had scaffolding erected in our bedroom, and we slept on our outdoor lounge chairs for the first night. It was not much fun … so the next night we took the cushions off the chairs, placed them on a picnic blanket on the floor, and slept a little better. This went on for five (5) days. Then we could finally unload our tempura mattress from the container. 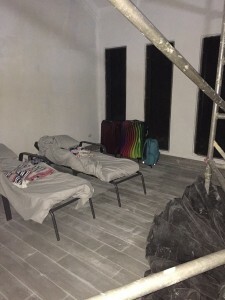 We hadn’t slept on our own fabulous mattress since mid-April 2016! It was amazing. 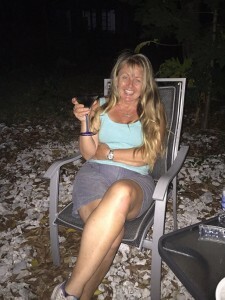 Who would have thought … simple comforts can bring so much happiness! Electricity was connected about four (4) weeks after we moved in, and that was great. Up to that point we were using ALDI solar lights Darleen had put in the container from Australia, and watching movies on our laptop for evening entertainment. We had to charge our phones and laptops during the day with the generator. Our neighbours Bronny and Alan lent us their esky for a couple of weeks and we were changing out the ice bricks daily. 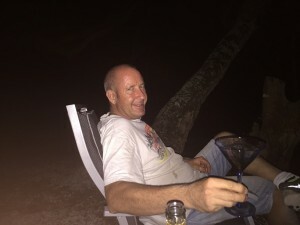 Once we had the flat packed kitchen finished we unloaded the bar fridge that we had brought over for our bungalow and we plugged that into the generator each day. 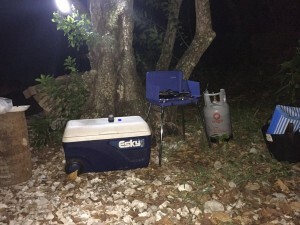 And it became an esky over-night. Darleen has been, and still is in fact, cooking on a camp stove. We added a few extra items to the builder’s construction list: solar roof over the container and carport, concrete footings for container two (2), wood framing in both glamping huts for the fly screens, storage shed fencing, cement pads for both water tanks, two (2) sets of stairs for the tapas bar, pizza oven base, and hand rails for the tapas decking. So, Richard’s teams (builder) should be finished next week – exciting. 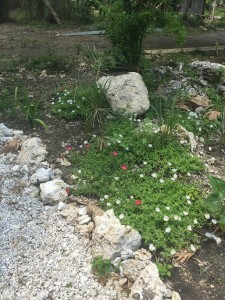 Darleen has been establishing her vegetable gardens, as well as lots of garden beds. 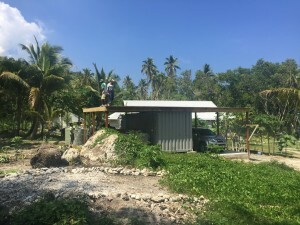 With the assistance of our neighbour Josie, we have been creating coral paths for: glamping hut one, glamping hut two, three (3) outdoor furniture pads looking at Hat Island and the ocean, from the car park to the tapas bar, chicken coop, and our bungalow to the tapas bar. Two (2) weeks I have been moving coral around the site … I am so over coral!!!! October 2016 was the toughest month so far for me. I haven’t done much camping in my life, I like all my creature comforts. So … to live without power and inside water for over three (3) weeks tested me. 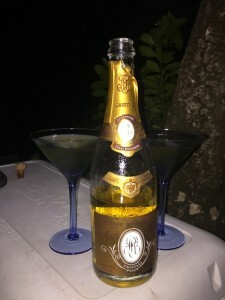 Being in an emotional low, my mind started to question – what the f*ck are we doing? Guess I had to reach that point at some stage! 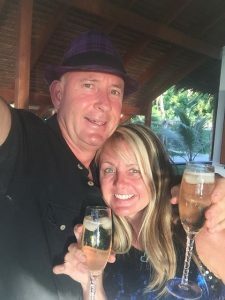 Thrilled to report I am still here, with my gorgeous wife Darleen at Mangaliliu in Vanuatu, and we have survived a tough October 2016 building Divi’s. 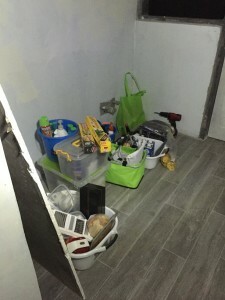 With progress over the last six (6) weeks since our last blog, Darleen and I are very excited to be able to finally start unloading each container with contents for the kitchen and bar. 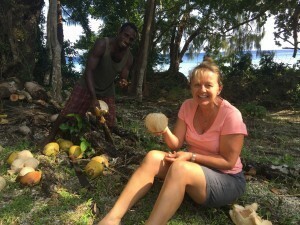 Scott and Darleen from our Vanuatu paradise. 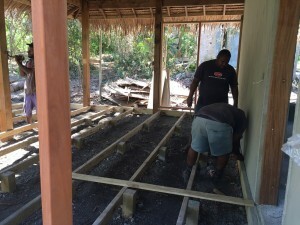 At this point, after having Richard (builder) start the last week in May 2016, we must say building with Richard from Rabco Constructions in Vanuatu has been wonderful. 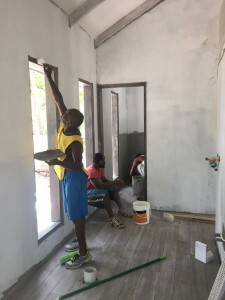 He has different teams of guys for different jobs: block laying, woodwork, plaster and painting, then tiling. 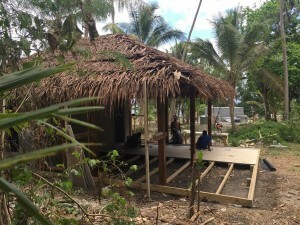 Each team has a leader (Dominic, Bong, Ben, Phillip, Pieor), and between 2-6 local Ni-Van (local Vanuatu person) in each team. They have all been great. We didn’t realise, but Dominic had been watching Darleen in the garden all week. One Monday (29 August 2016) morning he arrived onsite with a huge collection of cuttings and plants as a gift for Darleen, who spent the whole day creating a garden (Dominics garden – we will show you when you visit). It is coming along well. Another morning we had been placing better soil from the back of the block into garden beds we created down near the path from the beach. Over the lunch break, one of Dominics team created three bird nest ferns about six (6) feet up on three separate trees. They look great – how lucky were we!! 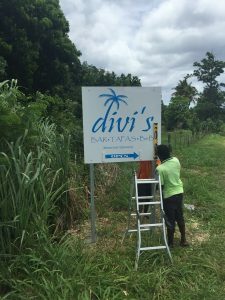 We are looking forward to opening Divi’s to guests on Friday 16 December 2016. We are moving out of Bob’s house (where we are renting) on Thursday 6th October, into our Bungalow. Next week we are hoping to have tiles laid, glass doors fitted, plumbing done, and painting completed, as well as water and gas on. Electricity may be still a few weeks away. We wanted to share what we have been working on – water. Scott on the tools in paradise. A video request from Glenn at Palm Beach Motors on the Gold Coast, Glenn was my Mechanic for the 11 years I lived on the Gold Coast, great team of guys working for him. Best, most honest Mechanic you could hope for. So Glenn, here is a couple of videos down at the water’s edge for you. 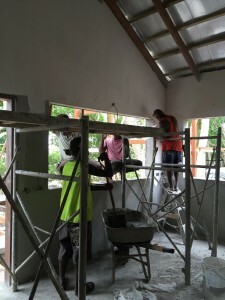 In this video you will see the guys putting up the main roof beam in the tapas bar building. It is 8 metres long and took 4 guys to carry it! It’s starting to look like a real building now! A couple of nights ago we heard a big crack in the bush beside our place (Bob’s place we are renting). I noticed there was a coconut tree hanging in the branches yesterday at lunch time. 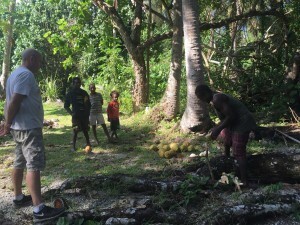 When coconut trees fall, usually from old age in the wind, the locals have a saying that equates to “The tree wants you to have a drink”. I went up to see Josie in the afternoon to let him know there was some fresh coconuts available. Josie lives in a house he built at the back of Bob’s place. He has been working with Bob for over 2 years. He helped Bob find the perfect block of land and helped him build the house and now looks after the grounds. Josie’s kids, all boys, (pikininis) his nephew Carl, eldest Odino, middle Yano and youngest Oniel, appeared on the patio this morning after breakfast giving us 3 drinking coconuts, peeled and ready to pop. Carl had climbed up a tree yesterday and they came down to give us some! How sweet is that! Josie was there a few minutes later to check out the fallen coconut palm. He borrowed our bush knife to slash a path into it. I followed him in and threw the coconuts out to Carl. 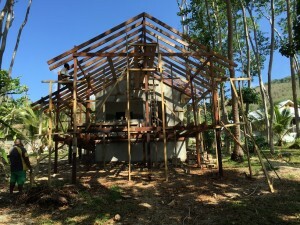 This video updates construction on the Glamping Huts.